Arguably the most famous Aston Martin of all-time and certainly the most valuable. Only 5 original examples were built and one has sold recently for over $32 Million! The car became a major success on the race circuits in 1956-59 in the hands of famous racing drivers such as Jack Brabham, Carroll Shelby, and Sir Stirling Moss. DBR1′s came first and second in the demanding 24 hour Le Mans race. 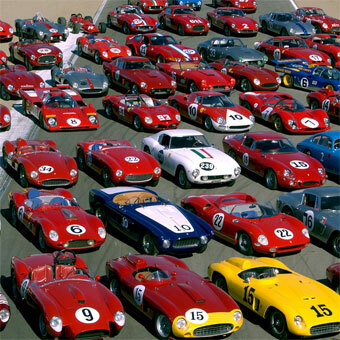 A third car was driven hard by Stirling Moss in the first few hours of the race to ensure the Ferrari’s gave chase. This charge proved too much for the Ferraris causing them to retire early thus leaving the DBR1′s driven by team mates Carroll Shelby and Roy Salvadori to secure a victory. The next closest competitor was a distant 25 laps behind the racing duo. 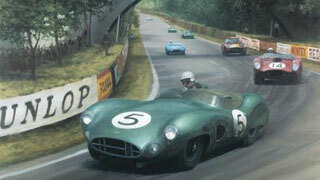 Aston Martin also won the 1959 1000km Nürburgring, with Stirling Moss and Jack Fairman driving. The constructors championship of the same year was closely contested by Ferrari and Aston Martin, the teams appeared at the final round at Goodwood. 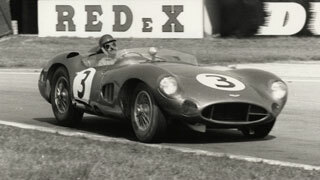 Aston Martin entered three DBR1s, as well as privateer Graham Whitehead’s DBR1/5. During the race, DBR1/3 caught fire in the pits, destroying the car and leaving Aston Martin without room to refuel their other cars. To salvage Aston Martin’s hopes of a championship, Graham Whitehead withdrew his entry from the race in order to allow Aston Martin to use his pits stall and finish the race. Able to continue, Stirling Moss, Carroll Shelby and Jack Fairman in DBR1/2 were able to secure another victory and the championship over Ferrari. The World Championship was won by Aston Martin DBR1s. The DBR1 is not only one of the most stylish of all “50’s specials” but also one of the rarest, leading to incredibly high residual values. Current lead time is approximately 12 weeks. Built to order by Stuart Mills of MEV UK. Price FOB Exomotive Atlanta, GA. The gorgeous fiberglass body has been faithfully copied from drawings, pictures and measurements from the original. 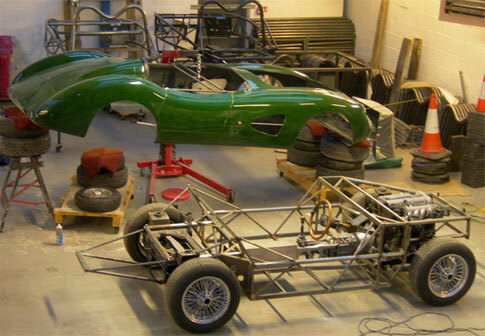 Underneath, the DBR1 replica has a lightweight triangulated space frame chassis and is built to the highest standards. Our engineer has designed a chassis that is lighter, yet stiffer than the original giving the Replicar DBR1 a weight just over 1700 pounds. 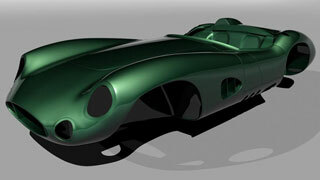 You will be nothing less than delighted with your completed DBR1 Replicar. Just like the Exocet, the DBR1 Replicar chassis uses the complete drivetrain from a 1990-2005 Mazda Miata. Explore the Replicar build guide to see the typical build progression and assembly process. I would say it is one of the top five cars in the world. It is one of the most successful and instantly recognizable historic racing cars in the world today. This high point in Aston’s history came when Carol Shelby and Roy Salvadori drove DBR1/2 to overall victory. 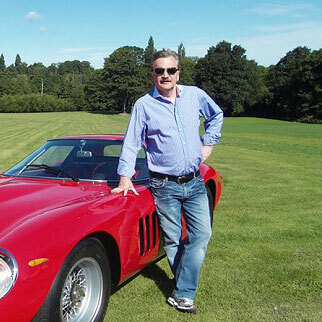 Their car has now become the most valuable Aston Martin in existence. The holy grail of motoring and the most recognizable and valuable Aston Martin in history. 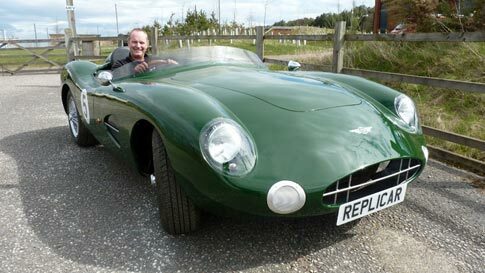 Read through MEV Replicar build blogs on the MEV Owners Forum and see how others have completed their builds.